Yippee!!. 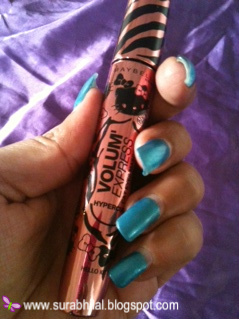 I just received My Maybelline Hello Kitty Volum' Express *Limited Edition* Cats Eye Mascara Waterproof!!. I must say the packaging is chooo cuteee! 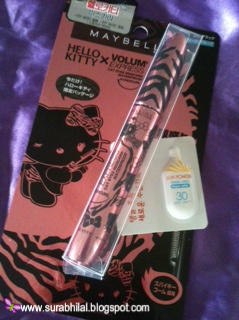 !....beautiful pink..with Hello Kitty printed on the Packaging and Mascara....If you like Hello kitty this a must have!!. Hello Kitty Limited Edition ($11 or Rs 575/-) is described as a mascara with fine comb applicator brush style to create a beautiful cat eye look and indeed the applicator is very fine and easy to apply to lashes. It is waterproof as described and I had too struggle a bit to take it off. I had to use Vaseline and waterproof makeup remover!. Very unique packaging I haven't come across anything like this from Maybelline before though this product was launched in 2010 and was a limited edition for Japan. It is still available with some vendors. Mine came with a free sample of Sun Powder Water Jelly Sunscreen SPF 30 PA++ . 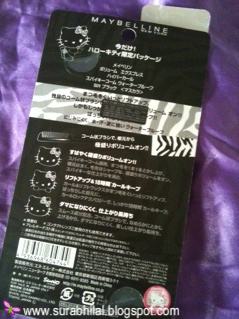 This Mascara is not available in India right now and I had to custom purchase it from Korea. I Couldn't find anything like this. 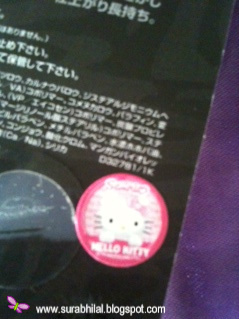 Something like this was launched in 2009 by Mac Hello Kitty *Limited Edition* the packaging was very different in a shade of black and the price was $12 and is not available at Mac stores anymore. 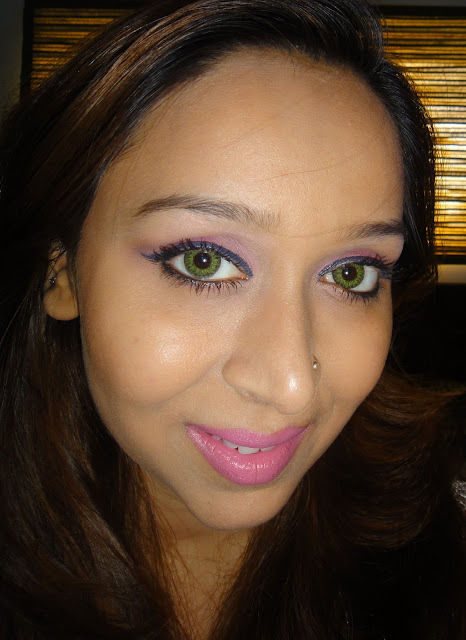 This one is has a "Shiny Pink" colour packaging and is totally irresistible!!. 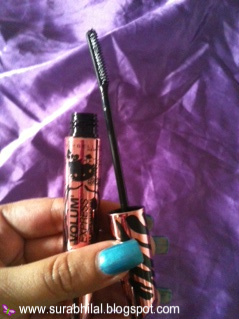 New Update13/12/11- I recently got to know through Peta.org that Maybelline Cosmetics are tested on animals. I shall not be purchasing them anymore. I regret buying this product now!